Ultra light and comfortable Polyurethane safety wellingtons. 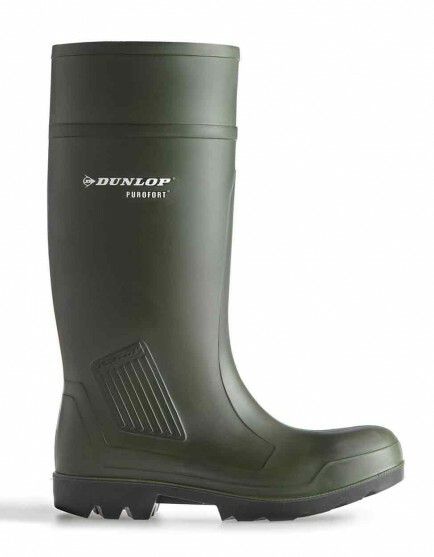 The Dunlop Purofort Professional C462933 is an extremely lightweight polyurethane safety wellington. Good thermal insulation and exceptionally hardwearing. Anti-static non-slip sole. Green only. Conforms to ISO20345 S5-CI-SRC. Antistatic and Energy Absorbing Heel. Penetration Resistant Midsole to 1100 Newtons. Toe Protection to 200 Joules Impact.